Really enjoyed this book. Well written, interesting characters and really good story. Also, made into a movie that was also very good! 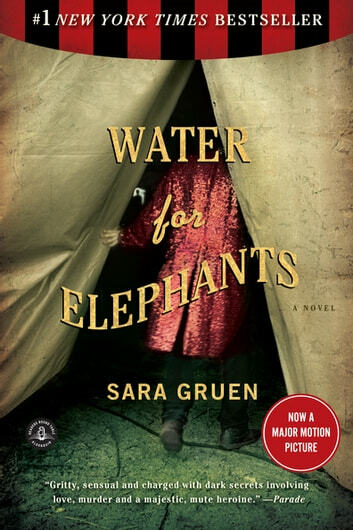 If circus life from the early 1900's ever concerned you, this book will make you feel for everyone involved. It's not an easy life for many working for the less funded circus. I thought this was a wonderful book. From the moment I opened it until the moment I closed it, I could not put it down. After finishing this one, I went and got another of her books. Made me want to run away and join the circus. I now want to save all the elephants in the world. 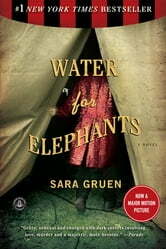 Sara Gruen is such an amazing author, as soon as I finished this book, I downloaded another one of her books!! One of my favourite books of all time. I really loved the ending, which was heart-warming.